"Indulge your skin with the best nature has to offer. We have sourced some of the finest natural and organic ingredients, with all vitamins and nutrients preserved, for naturally healthy and radiant skin." Claims: Rich, creamy cleansing milk melts away makeup and impurities. Infused with Organic Sunflower Seed Oil and soothing Organic Cornflower Water to protect and condition skin. Leaves skin feeling soft, smooth and loved. Ideal for removing eye makeup. Paraben-free. Certified Organic. To cleanse, squeeze EcoBeauty Cleansing Milk onto a cotton pad and apply to the face, neck and décolleté, avoiding direct contact with eyes. To remove eye makeup, apply a few drops to a clean cotton pad and gently wipe over the eye area. Use morning and evening. Results: A good cleanser is a very important part of a good skincare regime. On application, this rich and creamy cleansing milk melts away makeup and all the impurities. It gently gets rid of every last trace of stubborn waterproof makeup leaving the skin clean and well moisturized. 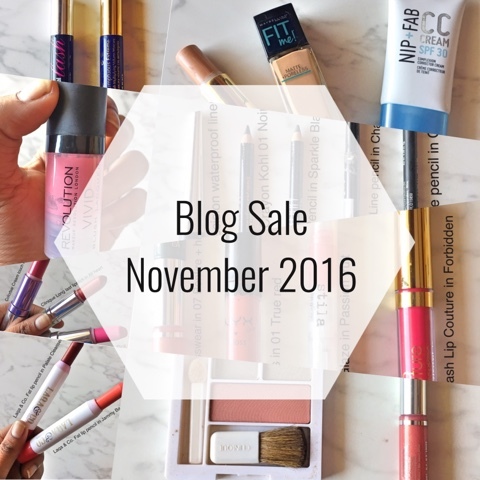 The product is mild and will probably suit sensitive skin too. 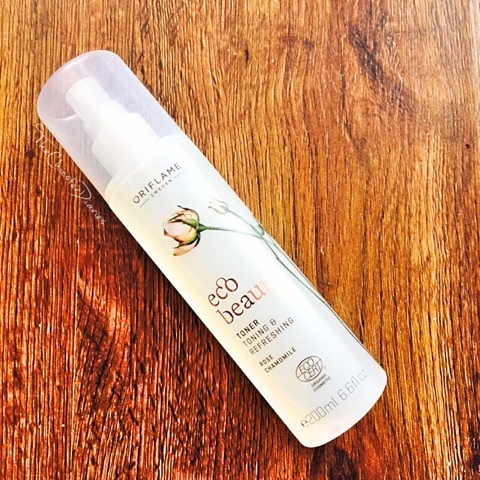 Results: The Oriflame Eco Beauty Toner is honestly one of the best toners I have used so far. The product comes in a simple translucent spray bottle that makes the application process super easy and hygienic. The formula is lightweight and gets easily absorbed by the skin almost instantly. I am not at all fond of toners that leave your skin feeling greasy after application but gladly this doesn't do so. Also, the refreshing rose and chamomile scent is very calming. Claims: Treat your skin to an illuminating boost every day. Light, cooling serum infused with antioxidant-rich organic Evening Primrose Oil and moisture rich Aloe Vera Extract. Melts into skin and helps to feed the skin with extra moisture. Designed to leave skin instantly more radiant, revived and refreshed. Perfect for prepping skin for face cream or overnight treatment. Paraben-free. Certified Organic. Results: The Oriflame Ecobeauty Serum is infused with the goodness of rich Evening Primrose Oil and Aloe Vera Extract that will help you gain that extra boost of moisturization and nourishment for your skin. This product helps me prep my skin well right before makeup application. 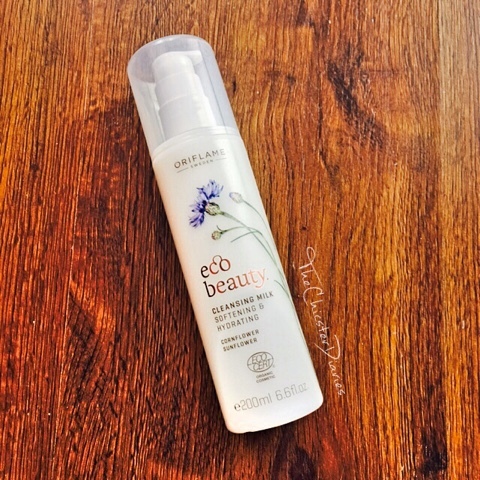 The product works well when teamed up with the EcoBeauty Face cream as it makes the skin feel super soft and supple in the morning giving an overall healthy look. 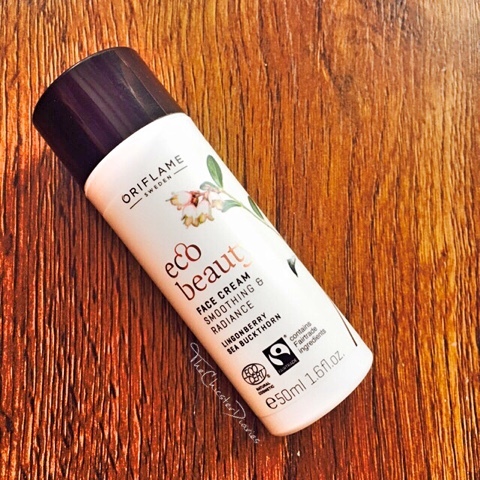 Results: The Oriflame Ecobeauty Face Cream is housed in a bottle with a pump dispenser that makes the application process super hygienic. The rich and creamy texture of the Face Cream makes it a perfect component to be included in your night time skincare routine. I have a combination skin and personally, the product is a bit too heavy for me to be used in the daytime especially during summer but it is perfect as a night time moisturizer or daytime moisturizer in winter. Claims: Intensely protecting duo for smoother, more radiant skin. Antioxidant-rich Arctic Lingonberry and Sea Buckthorn Seed Oils help to reenergize skin around eyes as it diminishes signs of fatigue.“AN INSTANT PICK-ME-UP FOR TIRED SKIN." 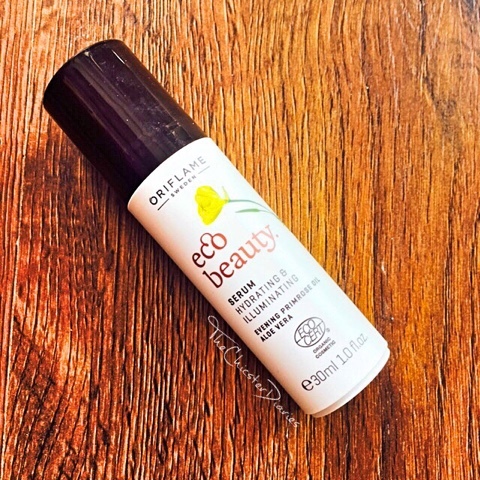 Dab on EcoBeauty Eye Cream in your eye contour area, morning and evening. Remember to only use in eye contour area. Never apply eye cream on the eyelid. 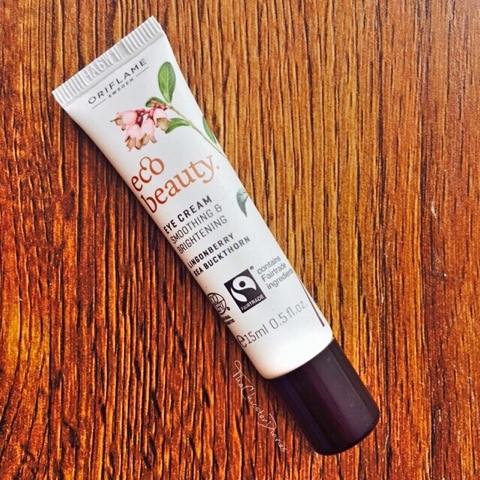 Results: The Oriflame Ecobeauty Eye Cream is available in a convenient to carry around squeeze easy tube. The nozzle tube makes the application process uber easy. The soft texture of the product is an intermediate between a lotion and a cream as it is not very runny or thick and gets absorbed easily by the skin. The product also helps soothe puffy sore eyes when applied to the eye contour area by hydrating it. Overall Verdict: In the last 2 weeks I noticed a visible difference in my skin cause mainly because all the products were from the same range and complimented each other well. 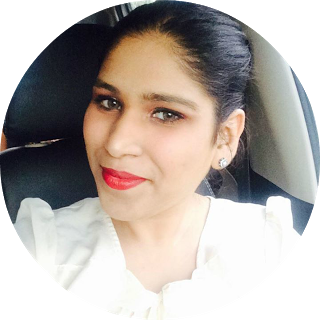 The Oriflame Ecobeauty range is probably one of the best skincare range by Oriflame so far. Even though I absolutely loved all of the products from this range, the toner and the serum are my most favorite picks and would highly recommend y'all to give it a try! Hope you liked this post? 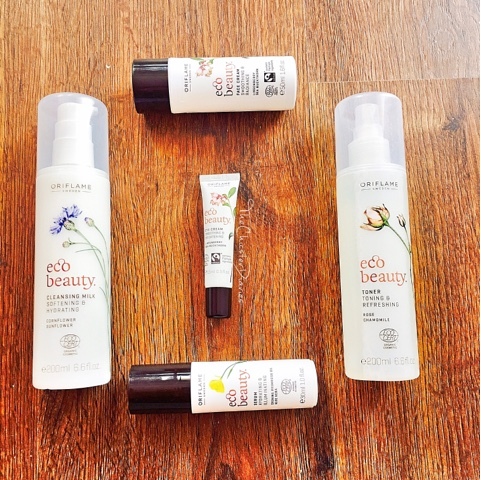 Do let me know in the comments section below if you have tried the new Oriflame EcoBeauty Range? Also, which are the products you are currently using in your skincare regime?